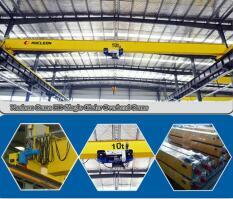 LD type electric single-girder crane is a kind of simple structure, widely use small-sized lifting machinery. 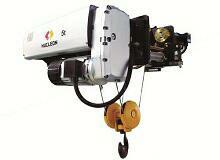 It is compatible with CDI or MDI type electric hoist. 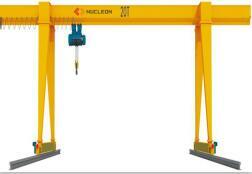 This product is general purpose crane, not suitable for danger of explosion, fire and dangerous work environment, It should not be used in places where there is a lot of moisture or acid or alkali gas, nor can it be used to transport molten metals, toxic substances and inflammable and explosive substances. 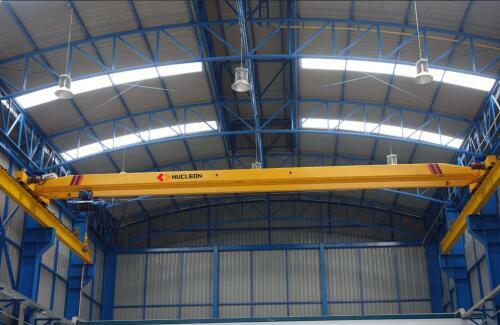 The main girder of this machine is a box and I-beam welded structure. On the basis of strength, rigidity and stability, the utility model has the advantages of beautiful appearance and small volume. 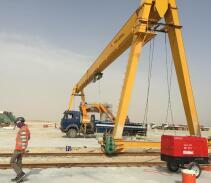 The main and end beam connections adopt split type structure, which is convenient for transportation and installation. 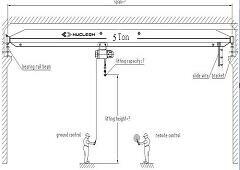 This product has two operating modes: ground and control room. The control room is equipped with open type and closed type. There are two kinds of side entry and end face in the direction of entry for users to choose according to the different requirements. But when ordering, please specify two. 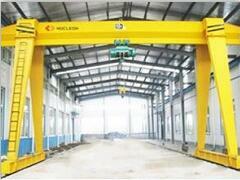 The LDA type electric single beam crane is improved on the basis of “LD”. 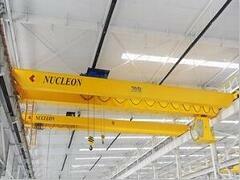 Compared with “LD”, it has the characteristics of reasonable structure and strong rigidity of the whole machine. This product is widely used in factories, warehouses, warehouses and other occasions to transport goods, prohibited in flammable, explosive, corrosive media environment. 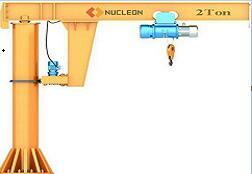 This product has two operating modes: ground and control room. The control room are two type open type and closed. According to the actual situation can be divided into two kinds of left or right form, Entry direction, right side and end face two kinds. 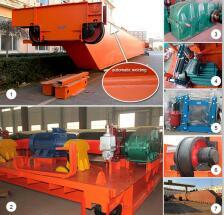 To meet customer needs in a variety of circumstances to choose.